A special treat has been added to the Christmas time activities for Point Pleasant. Landau Eugene Murphy Jr. will be performing in the PPJ/SHS auditorium Dec. 20. POINT PLEASANT — A surprise visitor on the Point Pleasant River Museum’s annual dinner cruise will be making a return to the city this holiday season. Landau Eugene Murphy Jr. “wowed the crowd” during his performance on the Belle of the Cincinnati, according to Ruth Fout of the river museum. Fout commented the passengers of the ship had no idea Murphy was aboard the ship until he came out for his performance. She explained he boarded the ship as if he was a typical passenger and went to a private room to stay until his time to take the stage. Only a handful people were involved with the plan. Fout explained after the fire, Big Sandy Superstore gave furniture to the river museum. When speaking with a volunteer, she asked Fout and her sister Martha what else she could do for the river museum. Martha suggested having Murphy perform in Point Pleasant. The volunteer reached out to Murphy and his staff, explained Fout, and Murphy wanted to help the river museum. Fout said Murphy announced his plans of returning to Point Pleasant during his “Home for the Holidays” Christmas tour after his performance on the Belle. The holiday event is set for Thursday, Dec. 20, 7 p.m. at the Point Pleasant Junior/Senior High School auditorium. Tickets are available now, gold circle VIP tickets ($50) and general admission tickets ($35), and can be purchased by visiting www.landuamurphyjr.com or by calling the river museum at (304) 674- 0144. Proceeds made from the concert will benefit the rebuilding of the river museum. Fout shared Murphy has a large fan base throughout the state and people have been purchasing tickets from miles away to see the upcoming show. On the ship, the gold circle tickets were offered to the passengers first as they are of a limited quantity and Fout commented the entire first row was sold out. The gold circle tickets offer a seat within the first two rows as well as Murphy’s Christmas CD and a meet and greet with Murphy himself. Fout shared the river museum’s phone has been ringing off the hook with individuals wishing to purchase tickets. Murphy is no stranger to the area, Fout shared, before his appearance on America’s Got Talent, Murphy’s band was an opening act for the Esquires during a concert at the Riverfront Park Stage. Murphy was born and raised in West Virginia, his hometown being Logan. Before he auditioned for America’s Got Talent in 2010, he was making a living by washing cars, singing as a pass the time. “West Virginia will always be my home and home and family are the most important thing in the world to me. I can always fly out to LA or New York for work, but being here in West Virginia helps keep me humble and grounded. I’m just very fortunate to be living my dream,” said Murphy on his website. Murphy walked away with the million dollar grand prize on America’s Got Talent and according to Ruth, everyone fell in love and with dedication followed him throughout the season. She said Murphy is known as being very personable and along with being an exceptional singer and performer is an all around great guy. In November of 2011, Murphy released his debut album “That’s Life.” Since then, he has also released his Christmas album “Christmas Made for Two” in November of 2013 and “Landau” in December of 2016. According to Murphy’s website, his Christmas CD is also a best-selling fundraising vehicle for The Children’s Home Society charity, where he spent many years volunteering well before his America’s Got Talent win. Christmas is a favorite time of year for Murphy and he “goes all out” with his annual holiday tour. Often, Murphy will have local choirs and symphony orchestras join him on stage in their towns. He will also do toy drives for area children at his performance venues. 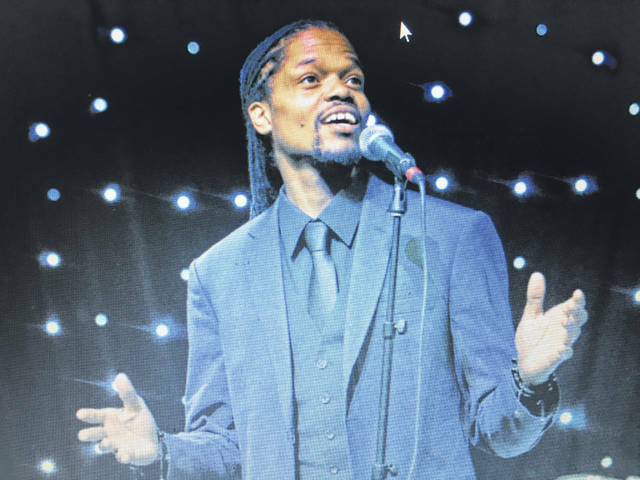 Along with his albums, Murphy co-authored, “Landau Eugene Murphy Jr.: From Washing Cars to Hollywood Star” with writer Rick Robinson as well as has appeared on several talk shows and radio shows. Some information from http://www.landaumurphyjr.com was used in this article. https://www.mydailysentinel.com/wp-content/uploads/sites/14/2018/08/web1_0802.Murphy.jpgA special treat has been added to the Christmas time activities for Point Pleasant. Landau Eugene Murphy Jr. will be performing in the PPJ/SHS auditorium Dec. 20.